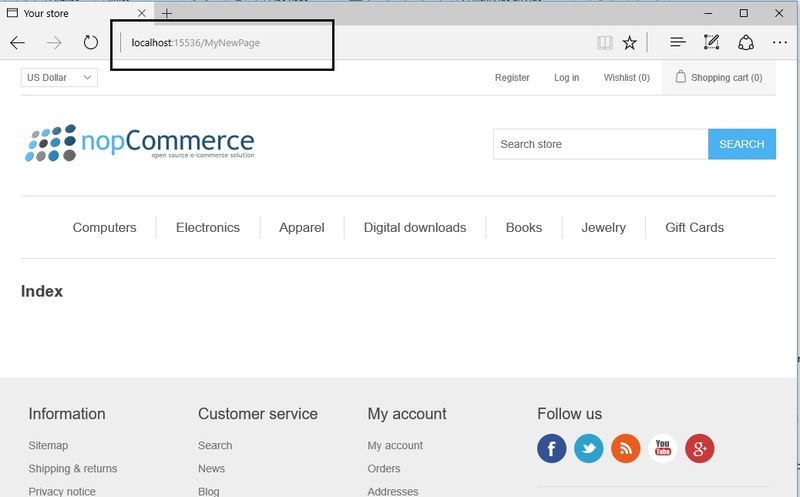 Many times, I get a common question in regard to nopCommerce: "How to add a custom page in nopCommerce?". As nopCommerce switched from webforms to MVC, this question became more common on nopCommerce forums and I received a lot of requests from several nopCommerce users asking help. Many ASP.NET developers are still new to MVC, as it can be a learning curve for any .NET developer, so I completely understand that it can be overwhelming to work with something that is totally different from webforms. So, here I am writing an article on this topic to answer this common question and I hope it helps nopCommerce users who are looking for a solution to this problem / question.